Light Ivory Hydrangea Hair Piece. Rustic, Elegant Wedding Hair Accessory. With Green Leaves & Pearls. Special Orders Welcome. 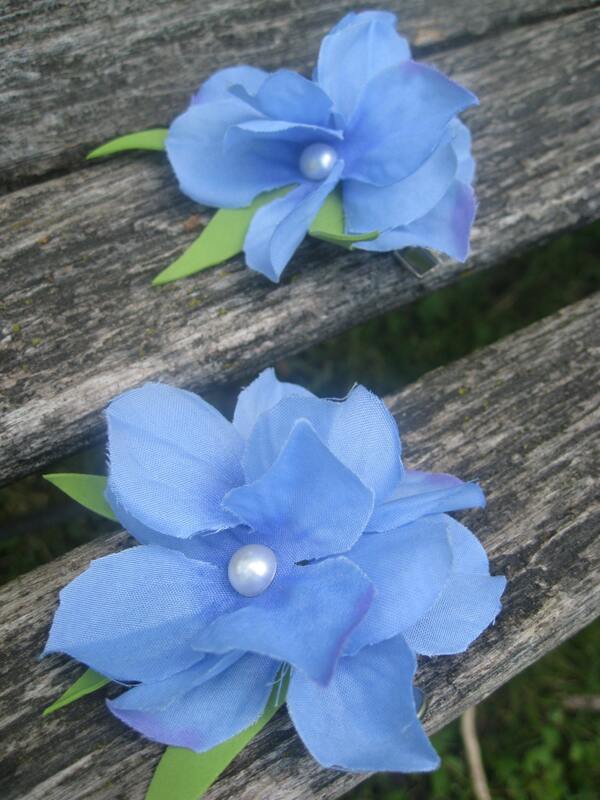 This gorgeous hair piece is perfect for any bride, flower girl or bridesmaid! 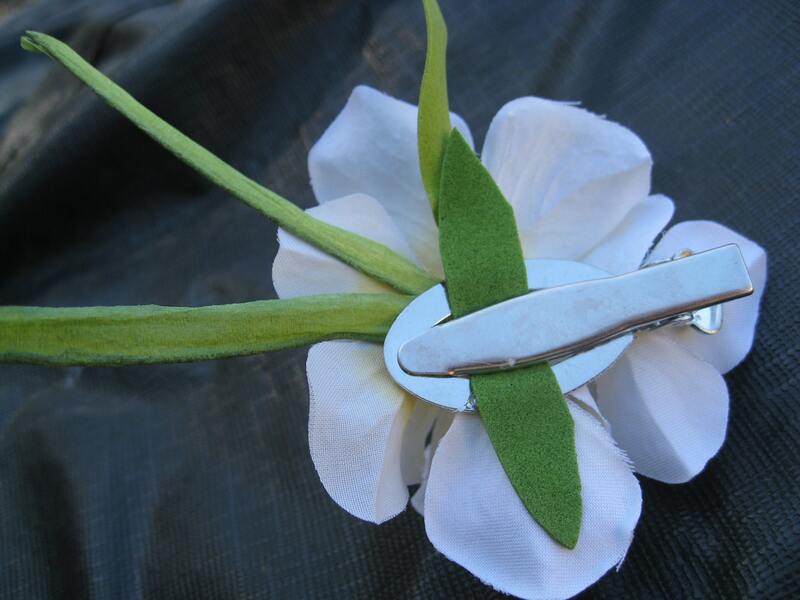 Made from white hydrangea flowers, plus green leaves, this silk hair clip is lightweight and very beautiful. 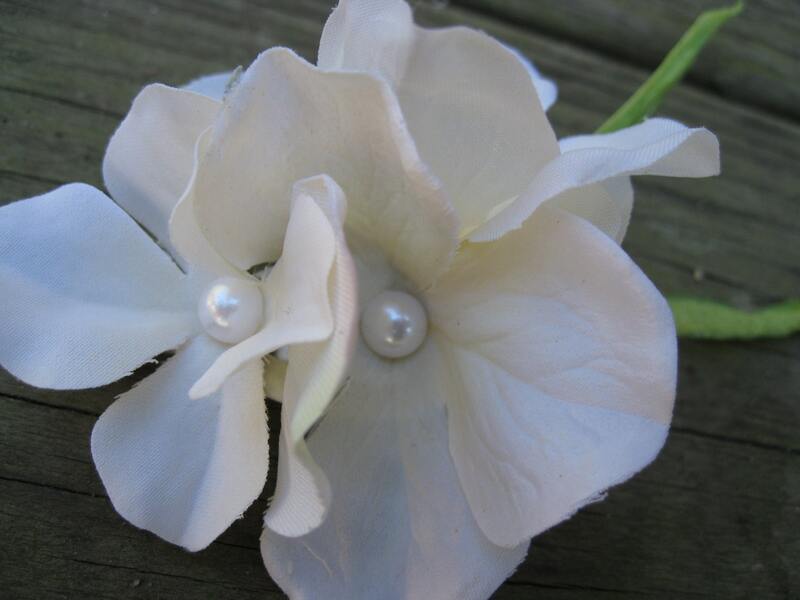 There are white pearls in middle of each flower, giving it a elegant, yet wonderfully rustic feel. It makes a great accent for any wedding or special occassion. 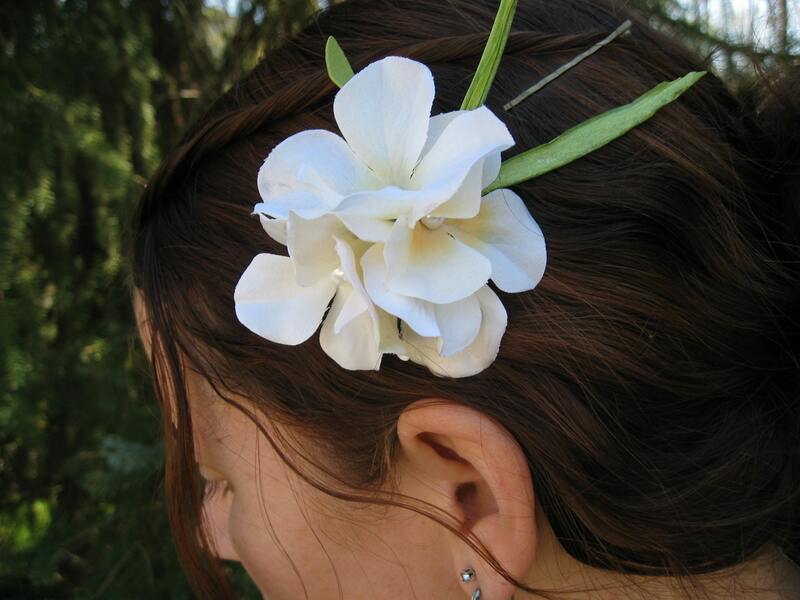 The flowers are a light ivory, so it would look great with an ivory or a white dress. This listing is for one hair piece. It measures 4" long (including the leaves) and 3" high. The flowers are only 3" long. It has a short clip with teeth on the back, so it will fit in any part of the hair and will not fall out, even with a long night of dancing! If you would like more of these, please let me know! I can also do them in ANY COLOR or FLOWER that you would like! I love special orders and love to help make weddings perfect! SEE THE LAST PHOTO FOR AN EXAMPLE OF A FRENCH BLUE ONE. If you want a different color, please let me know at checkout! 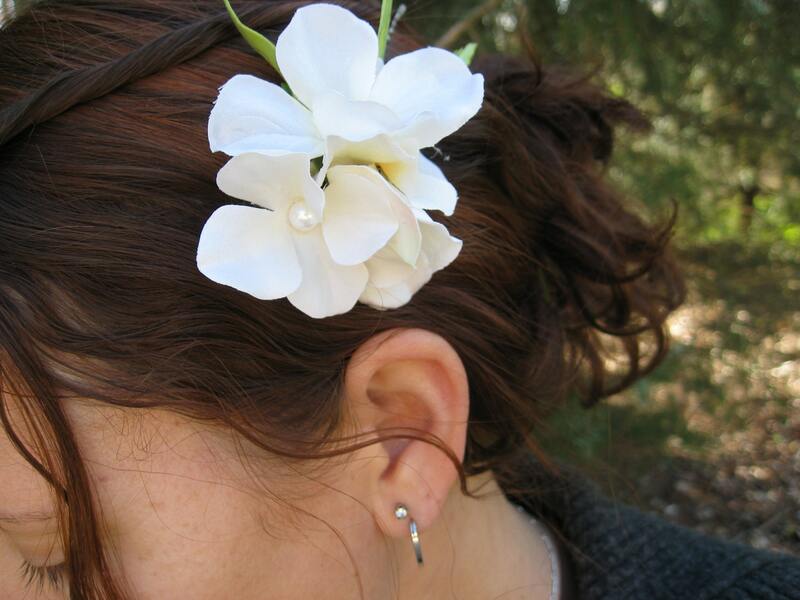 I can also do other hairpieces, barettes, tiaras, headbands, corsages and bridal bouquets! ****Sometimes I vary the leaves on these. It just depends on what I can get. But there will always be three leaves sticking out, not matter what kind I use.